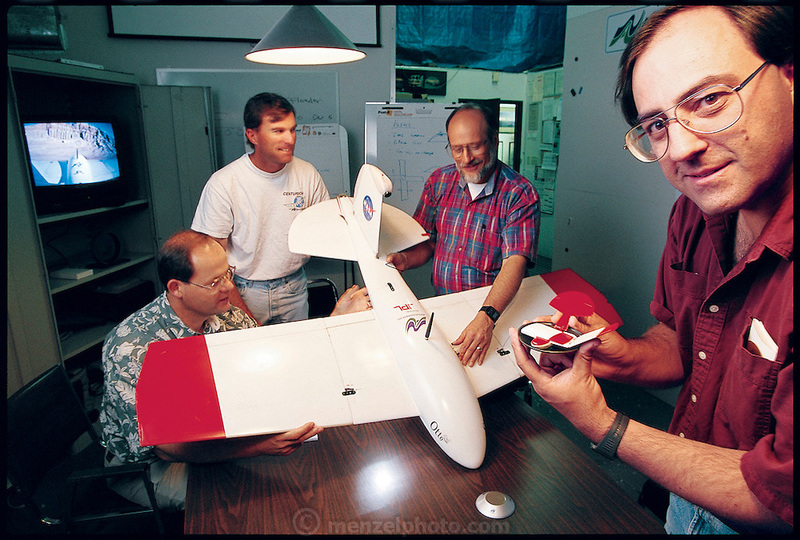 AeroVironment engineers (left to right) Marty Spadaro, Paul Trist Jr., Tom DeMarino, and Carlos Miralles cluster around the working prototype of the Mars glider, Otto. NASA sees an airplane as an important tool for exploring Mars early in the 21st century, and AeroVironment is seeking the honor of building the plane. From the book Robo sapiens: Evolution of a New Species, page 158 top.